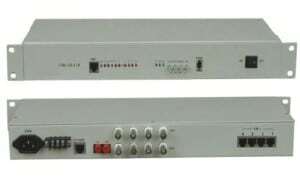 The VGA + KVM Fiber Extender could transmission high-definition video long distance through a single cable, while support for USB keyboard and mouse transmission, external independent audio and other functions, can adapt to a variety of complex applications. The device has a superior image processing and transmission capacity, so that the signal transmission more smooth and stable, it is a good solution with a reliable, high-performance, efficient VGA, keyboard and mouse signals to extend the way. 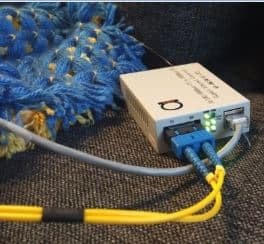 Use Mini USB cable to the computer and the VGA extender sending end. The sender and the receiving end on the power, when the lights are on, the system running. VGA signal input/output, Stereo audio signal input/output, Host keyboard mouse signal connection, USB Keyboard mouse interfaces over fiber extender, distance depends on SFP module.